Academic project tracking system project is a repository system which is designed in php, Python using HTML and MYSQL. This project is a master’s project for computer science students. Academic Project design is the process where team members will share work and develop modules and integrate to main application. In order to complete this process we can use web based repository applications where students can share code with other team members and update to new versions.This application works for local networks sharing data from central server. Users will update data to database from different user accounts. This advanced mobile trading management system adjusts according to user’s choice and ensures most profitability using artificial intelligence. It provides user with an easy and beautiful GUI. It shows a list of products to the user, the user sees a product and goes through its features and price, the system gets to know about user’s choices. Once the user selects a phone, the system remembers the choice for that particular user. Next time the user logs in; the system shows appropriate recommendations for that user along with other products. Once the user decides to buy a mobile phone goes towards the payment option, the system also shows him some mobile covers and mobile accessories for that particular mobile that he/she has selected, so that he can add it to cart as well. The system bills the user, using credit card system. After billing, an email is sent to the user’s registered email id. The system has an admin account that gives information about; when visitors visited the site, products they saw, amount of their bill, when they logged out. Analysis and review for product rating is a system, which rates any particular product based on hidden sentiments in the comments. The system uses sentiment analysis methodology in order to achieve desired functionality. This project is an E-Commerce web application, which allows the registered user to view the products and their features along with the option of commenting about the product. User can also view comment of other users. System will analyze the comments of various users and will rank product. Database of the system have various keywords denoted as negative and positive words, which helps the system to recognize the comments and rank them accordingly. The System takes comments of various users, based on the comment, system will specify whether the product is good, bad, or worst. The role of the admin is to add product to the system and to add keywords in database. This system helps the users to select the correct product for an individual. In addition, it provides the reviews about any particular product, so that an individual can make appropriate decision as per his/her requirement. This application also works as an advertisement, which makes many people aware about the product. Audience Management System is a software developed for daily student attendance in schools, colleges and institutes. If facilitates to access the attendance information of a particular student in a particular class. The information is sorted by the operators, which will be provided by the teacher for a particular class. This system will also help in evaluating attendance eligibility criteria of a student.Purpose:- The purpose of developing attendance management system is to computerized the tradition way of taking attendance. Another purpose for developing this software is to generate the report automatically at the end of the session or in the between of the session Scope:- The scope of the project is the system on which the software is installed, i.e. the project is developed as a desktop application, and it will work for a particular institute. But later on the project can be modified to operate it online. Boarding House Management System is a software developed for managing various activities in the hostel. For the past few years the number of educational institutions are increasing rapidly. Thereby the number of hostels are also increasing for the accommodation of the students studying in this institution. And hence there is a lot of strain on the person who are running the hostel and software’s are not usually used in this context. This particular project deals with the problems on managing a hostel and avoids the problems which occur when carried manually. Identification of the drawbacks of the existing system leads to the designing of computerized system that will be compatible to the existing system with the system Which is more user friendly and more GUI oriented. We can improve the efficiency of the system, thus overcome the drawbacks of the existing system. This college campus placement enrollment system provides options like student login, company login and an admin login. This software system provides an option to the students to create their profiles and upload all their details including their marks onto the system. The admin can check each student details and can remove faulty accounts. The system also consists of a company login where various companies visiting the college can view a list of students in that college and their respective resumes. The software system allows students to view a list of companies who have posted for vacancy. The admin has overall rights over the system and can moderate and delete any details not pertaining to college placement rules. The project is beneficial for college students, various companies visiting the campus for recruitment and even the college placement officer. The system handles student as well as company data and efficiently displays all this data to respective sides. Before buying a car, it is best to compare its feature and characteristic with other cars. Car contrasting management system project focuses on providing information to buyers about the similarities and dissimilarities between two cars. User needs to select two cars and the system will generate a brief report indicating the benefits and defects. Thus, it helps user to analyze the cars effectively and user can make best decision before buying. The system provides an admin login that has sole control over it. He can post different cars and can put up notifications. The user logs into the system and can search for his car. The system then shows various car options for comparison with respect to the desired one. Hence, user can check out varieties of features and can compare it. The system has an additional advantage of providing and suggesting the best accessories available for the respective car.This online system is developed on Php platform and supported by a MySql database to store user specific details. This is multiple Cottage management system which handles multiple Cottage details. It supports both online booking and offline booking facilities. The main purpose of this projects is to maintain the different lodge records, Room details, Room types (Single Room, Double Room, AC or Non AC), Customer records and its staff details. The customer can register through online and they can login after the registration. It has different types of search option, user can book the room after making the payment. The credit card fraud detection features makes use of the behavior and location of the user to check for unusual patterns. These patterns include user characteristics such as user spending patterns as well as usual user geographic locations to verify his identity. The system requires revivification as soon as any unusual pattern is detected. User’s credit card data is being analyzed by the system for various characteristics. These characteristics include user’s country and usual spending procedures. The system recognizes unusual patterns in the payment procedures based upon previous data of that user. So now, the system may require the user to login again or even block the user for more than three invalid attempts. Day to day Budget Tracker System is designed to keep a track of Income-Expense of a Housewife on a day-to-day basis. This System divides the Income based on daily expenses. If you exceed day’s expense, system will cut it from your income and will provide new daily expense allowed amount. If that day’s expense is less, system will add it in savings. Day to day Budget Tracker System will generate report at the end of month to show Income-Expense Curve. It will let you add the savings amount, which you had saved for some particular Festivals or days like Birthday or Anniversary. E-Polling System would have Candidate registration, document verification, auto-generated User ID and pass for candidate and Voters. Election Commission will handle Admin Login and Candidate will handle Candidate Login. Voters will get Unique ID and Password, Using which they can vote for a Candidate only once per Election. The project is beneficial for Election Commission, for voters as the can get to know the candidate background and choose wisely, and even for Candidate. The software system allows the Candidate to login in to their profiles and upload all their details including their previous milestone onto the system. The admin can check each Candidate details and verify the documents. Candidate’s ID and Password will be generated only after the verification, and faulty accounts will be removed. The software system allows Voters to view a list of Candidates in their area. The admin has overall rights over the system and can moderate and delete any details not pertaining to Election Rules. Online examinations contents providers to focus on creating effective assessment questions and focusing on exam’s feedback delivery to students. In the paper we present techniques that are pertinent to the elements of assessment process: answers submission, computerized grading, and feedback after submission. As the modern organizations are automated and computers are working as per the instructions, it becomes essential for the coordination of human beings, commodity and computers in a modern organization. The administrators ,instructor ,Students who are attending for online examination can communicate with the system through this projects, thus facilitating effective implementation and monitoring of various activities of Online Examinations like conducting Exams as per scheduled basis and delivering result to that particular use or student.And the details of students who attempted Online Examination are maintained at administrator. E-Church Management System Project Platform encompasses church management services ; all in a single platform for easy administration and communication. The application is debuted to give ministries access to emerging technology to be more effective and efficient in reaching out to more people, thus expanding the kingdom. E-Reference Center will deal in all the requirements needed for managing libraries. It will deal with the process of maintaining data about the books and many other things as well as transactions, which are taking place in the library with respect to the issue, return and renewal of the books. It helps the administrator to accomplish his tasks at ease. It lets the users sign-up to the library initially and then sign-in every time they want to find some item in the library. The user can also maintain and edit his profile details. A user can sign-in and search for items, borrow items if they are present in the library. All details of the users and library information are stored in the database. The user need not visit the library every time to find an item; instead, he/she can search items from his/her own PC/laptop. Family Connections is an content management system. A CMS is an application that allows people to create and maintain a website without having to know HTML. The project’s idea is to create a website that can be used to maintain family and friends connections by communication and sharing means. The website should be able to:  Share photos.  Communicate with friends and family.  Maintain a Calender for family events.  Maintain Contact and Address book.  Create a News blog.  Share your favorite family things. Farming assistant web service is a web project to help the farmers working with the motive of greater profitability by direct communication between; farmer-to- supplier and farmer-to-farmer. This service boosts business communication and brings transparency in the system. This innovative site allows a good farmer, retailer and supplier communication. It provides an option of login to farmers and communicates to respective dealers. Farmers are notified whenever dealers publish an advertisement or offer on the website through Sms message. The farmers also have an option to submit their grievances and complaints to respective dealers or authorities using their farmer login on a separate complaints page and authorities will get access to that page regularly using their login id and passwords. Secured Mail servicing system gives free web based electronic mail. Secured Mail servicing system enables you to acquire new customers and to increase growth opportunities with existing customers. With a wide range of Direct Mail Lists Services, label mailing or mail merge services, we enable you to communicate with customers in a better way. The main aim of our project is to provide a Secured Mail servicing system which lets you compose mail and send to a respective selected object. You can send documents or images (attachments).Also one can search emails with the search technology within the inbox, outbox , drafts. To prepare new mailing system on PHP which provide all the services provide by any general mailing services with some extra features such as easy to operate ,free messaging services are objective to make this project at very huge level but we just learn how to make mailing service system we are able in future to work over this project easily and provide much better facilities. So here we are showing you dummy project on mailing services prepared with help of PHP and some other designing tools.Our vision for this project and training is to build and maintains a customer-oriented culture. The customer satisfaction is what we aspire for. Hence we are to provide a mailing service that is easy and comfortable to control and function with certain additional facilities. Online Clinic engagement System is an appointment system developed using PHP and MySQL. The project title given 24X7 Clinic system where patients can take appointment through online and track their records through it. 24X7 Clinic system is web based application which covers all aspects of management and operations of clinics. This website covers Doctors profile, Patients profile, Online appointments, Patient treatment reports, Prescription report, billings, Clinical tests, etc. The 24X7 Clinic system which informs patients which appointment slots are empty, and then the 24X7 Clinic system will automatically provide new appointments. In this website patient can register to the system by entering profile details, then they can login to the system by entering login credentials. The patient can take appointment after the login. Even Patient can check appointment details (Approved or pending), treatment details and prescription details. Cloud storage system will provide to add/upload/modify data on real time cloud.In this Online Cloud Storage project we mention the uploading and downloading file from the server which is mean as cloud server which is located on Amazon cloud which is useful to accessing the speed. This is very useful application to store the data on cloud. User will get more idea about the cloud and Other application. It is also useful to create the small environment to Storing and downloading information from cloud to get more idea. The Online web based Cricket Score Board is a web application that works via the Internet allowing the viewers to have a clear idea about the latest score from the latest cricket matches. It allows the viewers to view the latest matches, it displays the score board and view the schedule for the upcoming matches. Even admin can Update live score details, Team information, Statistics, news, players profile, blogs, photos , gallery in the admin end. It is an online Equipment shop that allows users to check for various furniture available at the online store and purchase online. The project provides a of list of furniture products displayed online in various models and designs. The user may browse through these products as per categories. If the user likes a product, he may add it to his shopping cart. User needs to register on the site before checking out so that he can login using same id password next time. User can select any payment option that he wish to like credit card or cash on delivery. user receives a copy of the shopping receipt on his email id once the transaction is successful. 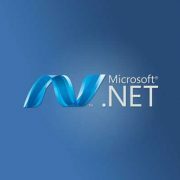 Here we use .net framework to make the entire frontend. The middle tier or code behind model is designed in c#. In addition, sql serves as a backend to store furniture lists and inventory data. Thus, the online furniture-shopping project brings an entire furniture shop online and makes it easy for both buyer and seller to make furniture deals. Online examination system is an web based application to conduct examination online. It has modules like question bank, examination, test setup, giving examination, calculate results, view results, store test data. administrator module to manage examination, questions and its options. 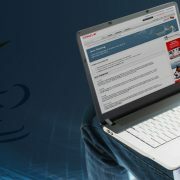 The Online Examination System is easy to use, full-featured and flexible Testing, Examination and Assessment web portal. It allows Administrators to set different examination and question banks for registered students and members. The eExamination System provides complete functionality of evaluating and assessing student’s performance skills. The eExamination System comprises of Question Bank effectively blended with a whole set of Features. Using different features of the Examination System an administrator can set an exam name, select an examination, and assign questions for examination.. The question bank will form the backbone of the automated process and will play an important role in random generation of unique sets of question papers. The more the number of questions the better randomization is achieved. This Online Job hunters written in PHP and MySQL and although the design is so cool with enough features. It just looks like Client project but you can easily develop this project for your academic student project. After creating this project you can host it in website and you can start own business like naukri, monster, etc. In this project job seekers can create profile and upload CV’s and employer can search Job seekers CV. Employers can create their company profile which can be displayed in each job posted by the employer. This online Marital site is developed to let individual find their potential matches for marriage as per their priorities. This project allows the phrase ‘Marriages are made in heaven’ to be rephrased as ‘Marriages are now made online’. This application allows browsing profiles of other registered users on the site. An individual needs to give their information such as Name, Gender, Religion, Caste, Marital status, Current salary, Occupation etc along with an option to upload photo of the individual registering and their kundali. The person looking for marriage can register and search for a profile that matches their requirement. This application allows individual to search by gender, age, religion, caste, marital status. It gives an option to an individual to view kundali, which is highest priority in many castes. An individual can select a profile as per his/ her requirement and can send an email indicating their interest and the email will be sent along with the sender’s details. Thus this application allows individual to let others view its profile and allows it to view others profile depending on the priority set. This online pastry shop allows users to check and purchase various bakery products available online. The project consists of list of bakery products displayed in various categories and the user can browse through the items. User can add the selected items it to his shopping cart. User needs to register on the site before checking out. He can then login using same id password next time. Now he may pay through a credit card or cash on delivery. The user receives a copy of the shopping receipt on his email id after the successful transaction. Here we use user-friendly interface to make the entire frontend. The middle tier or code behind model is designed for fast processing. In addition, SQL serves as a backend to store bakery products lists data. Thus, the online Bakery shopping project brings an entire bakery shop online, making it easy for both buyer and seller. It is an online symptomatic lab manager application that brings up various diagnoses working online. Here patients get an option to register on the site and login using registered details. Once registered with their address and contact details, the patients may now see a variety of tests conducted by the lab along with their costs. The system allows patients to do the bookings for various tests like CBC, Blood Glucose, KFT, and LFT. The tests also consist of parameters like Hemoglobin, WBC, etc. The system allows users to book any test needed and after successful booking, system calculates costs and allows users to pay online. As soon as the payment is done, the patient test is booked and the lab may now collected samples from patients registered address. After successful testing, the patient or the user gets a notification of test result through an email. The system allows admin to attach a copy of the report into the system and automatically email it to intended patient. We often encounter online movie rating sites, where the admin manually rates the movie, depending upon the comments, ratings and reviews of the users. Opinion based movie rating system is an online system that automatically allows users to post reviews and stores them to rate movies based on user sentiments. The system analyzes the stored data to check for user sentiments associated with each comment. This system consists of a Opinion library designed for English as well as Hindi sentiment analysis. The system breaks user comments to check for sentimental keywords and predicts user sentiment associated with it. Once the keywords are found, the comments are with a sentiment rank. The system gathers all the comments for a particular movie and then calculates an average ranting to score it. This score is generated for every movie in the system. The system also sorts and displays top rating movies as per analysis and calculate a top ten list automatically. This provides an automated movie rating system based on sentiment analysis.